Coremo oil-applied direct hydraulic brakes create a clamping force in conjunction with the pressure of the oil acting within the chamber in the brake body. Brake bodies are available in cast iron or steel and are designed to withstand high pressures and prevent oil leaks.  Industrial Clutch Parts Ltd. distribute a full range of Coremo Hydraulic Brakes. The Oil-Applied Brakes have been manufactured to act proportionally to the pressure of the oil working within the chamber of the brake body. The brake can operate in temperatures ranging from -40 to +200 °C and is suitable for a diverse range of industrial market sectors. Coremo ID 2000 comes complete with an inductive ON/OFF positioning sensor and wear indicator for maximum reliability and safety. With a braking force up to 200,000 N at 200 bar, the ID 2000 can perform within the toughest of environments.